About six months ago I began seeing comments on posts about student loan refinancing mentioning a mysterious bank that was offering ridiculously low rates. 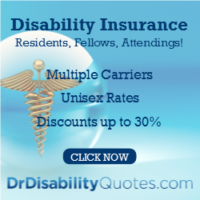 As you all know, every time I find a company doing awesome things for doctors and other high income professionals, I try to bring them on as a site sponsor. It’s a win-win-win. The company makes money, I make money, and readers get an awesome service in exchange for their money. In the case of student loan refinancing, that often mean saving literally tens of thousands of dollars in interest. This “mysterious bank” is doing something so awesome that it is worth dedicating an entire post to what they’re doing. But lest there be any doubt about my ulterior motives (with this post and this for-profit site), if you refinance your student loans with this bank through the process described in this post, I make money. # 1 The rates are super low. For example, the best 5 year fixed rate with CommonBond, Credible, SoFi, and DRB right now is 3.5%. The best 5 year variable rate with SoFi, DRB, Credible, and CommonBond is 2.13%. First Republic is offering a fixed rate that is 1.55% lower than anyone else. In fact, it’s 0.18% lower than anyone else’s VARIABLE rate. # 2 There is only one rate. No range of rates like you see with most refinancers. For example, the 5 year fixed rate with most good companies ranges from 3.5%-6%, and with some companies, the range is even higher. With First Republic, if you qualify, you get the rate. Excited yet? I am. This means even if you have already refinanced, it probably makes sense to do it again with First Republic. We don’t ask for proof of where they live, however they will need to show us paystubs, bank statements and a driver’s license; and if the address they gave us doesn’t match those documents, it would be a red flag. Sorry if I just broke your heart. But finally, finally, there is something good for doctors practicing in California, Manhattan, and Boston- some of the highest tax and cost of living areas in the country. While they don’t specifically say residents can’t refinance, there is no program to allow you to refinance based on your future projected income nor a way for you to keep your in-training payments low (like you see with DRB and Link Capital.) Basically, they make you wait until you have the necessary income and liquidity to be able to qualify for the loan. The rates offered include a discount for having a banking relationship with them. It’s a really, really big discount such that you probably don’t want to refinance with them unless you’re going to bank with them. What does a banking relationship mean? It means depositing your main source of income there and auto debiting the loan payments out of it. You get a personalized, dedicated banker and reimbursement of your ATM fees, but there are monthly fees if you don’t keep $3,500 in the account. This loan is a personal, unsecured loan with all that entails. It’s not a student loan. It doesn’t qualify for ICR, IBR, PAYE, RePAYE, or PSLF and probably not for any state or employer offered student loan repayment program. It doesn’t go away if you die (and will be assessed against your estate.) Of course, if you go bankrupt, it does go away, unlike student loans. There are no provisions made for unemployment, underemployment, death, or disability. 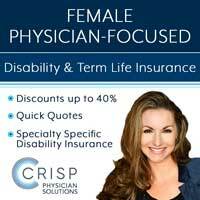 So be sure you have enough life and disability insurance to cover the amount borrowed. Their general limit for this loan is $300K. I know many of you have a larger loan burden than this. There is a minimum too- $40K. Even if they don’t approve you for more than $300K, at least you can refinance the highest interest $300K as long as you otherwise qualify. 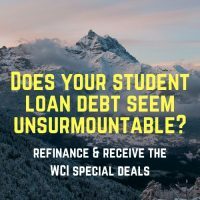 What Is the WCI Deal? Want an extra $200 in your pocket (or better yet, put toward your loans? 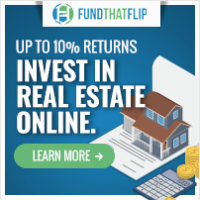 )Refinance with First Republic! Also, you would do well to remember what has happened with other student loan refinancers in the past once their services were widely publicized- they got really busy and sometimes even ran out of money requiring them to stop taking new applications or delay loan disbursement for a few weeks or even months until they could get more money to loan out. So you would do well to hurry up and apply! 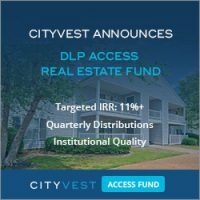 If you are an attending with student loans not going for PSLF, and live in one of the above mentioned areas, stop reading now and refinance with First Republic. What if First Republic Doesn’t Work For You? Do you bank at First Republic Bank? Have you refinanced your loans there? What was your experience like? Will you be applying now that you’ve read this? Comment below! What Should I Do With My Student Loans? Great deal for those that qualify. I love that it’s a personal loan also, not just for student loans. You still have to qualify. I mean, these aren’t the same folks going to Lending Club to try to consolidate their credit card debt at 22%. How close to the geographic area do you have to be? Would living an hour from Boston be too far outside the area to apply for one of these loans? I think that would be fine but obviously a line has to be drawn somewhere and what I put in the post is as specific as I could get them to be. I don’t think driving from Phoenix to San Diego is reasonable but an hour seems okay to me. Why not call and ask? Was told by the Boston contact person that I was too far away to qualify for their program. My distance to the nearest branch is approx 45 miles just to give a sense of what “too far” meant. I am about an hour away in Cali and was also told my city was not in the regional area, total bummer. Oh well. I’m surprised, but I don’t set the rules. “You can’t stop banking with them until your loans are gone or your rate goes up 5%.” This implies that the loan must go up by 5% (i.e. from 1.95% to 2.05%). Is that correct or did you mean “or your rate goes up TO 5%”? Just want to clarify – thx. No, it goes up from 1.95% to 6.95%. It’s an absolute 5%, not a relative one. I am about an hour from one of these cities, I hope they will consider that good enough. Written like a true salesman. Kudos to learning how to switch hats so easily. Normally I’d blow a comment like that off or make a sarcastic comment reminding you that this is a for-profit website, but you’ve left 152 comments on this site over the last 4 years and I don’t think any of them ever seemed even a little grumpy. So it makes me think either you had a bad day, didn’t really mean this comment in the way it appears to be meant to be taken, or perhaps that I’ve lost some trust with my readers for writing too positively about this company. But geez, I know at least several dozen readers are very happy I wrote this article as they were all very interested in refinancing with First Republic today. And that’s in a single day. Presumably there will be hundreds more over the years. I mean, imagine if you owed $300K at 7% and now here is an opportunity to refinance that debt to 2%. That’s $15K a year that can go to principal payments instead of interest. It seems like the right thing to do is to tell readers about it. The only ethical question I ever had about it was whether to tell readers about this awesome deal before or after I lined up the affiliate deal. I would much rather have it after you negotiate a deal, I get more benefits! $200 extra is worth waiting a little for. No complaints here. 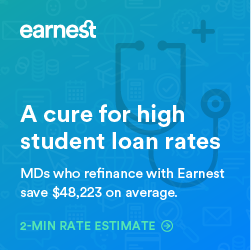 I don’t even have student loans, but I work with medical students, and so I’m still happy to read this post just so I can know what’s going on the student loan market. We all have conflicts of interest. When I operate on a patient, I get paid. We live in a capitalist society. You get kickback referring patients alexxT really? Whatever it’s a for profit endeavor and it’s a business. Truth is you can make money blogging and thars what WCI is doing which is great because he has the ingenuity to run this. I wouldn’t be surprised that he hits 1 million in income from This blog this year. I would be surprised. 🙂 I’m certainly not on track to do so. Ideally I’d make half the money for 1/10th the time. P.S.- I thought you were going to skip reading this post. I specifically warned you last weekend not to read it! I think this is just an ingrained attitude of the physician in general. It is literally the business model of many a business, and standard practice for many more. Finders fee, commissions, etc…its the same thing. While some kickbacks in medicine not being legal does make sense, others in a blanket manner simply do not, but thats where this comes from. Theres really nothing at all wrong with it. Blogs, talk shows, etc…are just the content to keep you engaged while people advertise to you or sell you something. Start looking at the world through a more entrepreneurial lens and you’ll see it everywhere, whereas before you most likely took things as they were packaged. YYJames, I see that reading comprehension is not your forte’. I never said I get kickbacks. I did say there’s a conflict of interest. 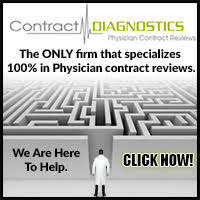 Physicians who are paid for procedures ,or even exams, have an inherent conflict of interest when they choose to do a more complex exam or procedure, knowing full well that they will generally get paid more for choosing the more highly compensated procedure or management. The conflict of interest is mitigated by full disclosure, as it is here. Dude thanks for putting me in my place. True I got an 8 in verbal MCAT. That was awesome. Zaphkd put it aptly, it’s the physican in me that doesn’t do this. I represent me not a third party. Even investing k I represent me. Since we can’t click “like” on blog responses, just wanted to comment that I admire you for your first paragraph – true humility. Following this thread, actually wondered how you would handle Zaphod’s rebuke. Now, about that last paragraph, I have no idea what the next to the last sentence means. Maybe I should MYOB, but I’m curious. fwiw, I have no problem with how WCI handles his advertiser posts. He’s refreshingly open about the relationship. Sorry am typing on cell phone so buncha mistakes. Yea I’ll just have to process it in my hard wired brain. Marketing business is like this. Re: last para all I was saying is that Zaphod is more even keeled in his responses – actually so are you now that I think about it , usually with data and logic so he usually understands where I am coming from that’s all. 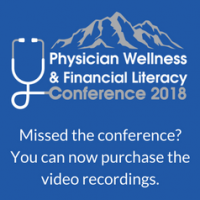 “Full disclosure” means that patients know when they walk into a doctor’s office that the doctor gets paid for what he/she does, and that makes it an inherent a conflict of interest. 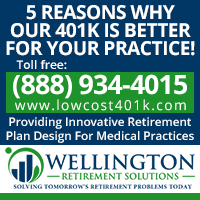 In a private practice, they know there’s an incentive to do procedures. In an HMO, they know there might be an incentive to under-treat. Similarly, with this post, you know there’s a financial incentive for WCI. 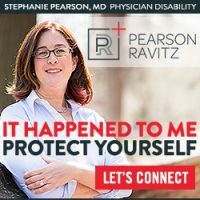 ” If you know of physicians who don’t put patients first genuinely then it’s a true shame for not calling them out”. I’m not saying anyone isn’t putting patients first. I’m saying that there’s a conflict of interest. That’s a fact, whether you acknowledge it or not. If you get paid for procedures, and you decide if you will do those procedures, then you have a conflict of interest. Similarly, this website has an inherent conflict. But similarly, it doesn’t mean the reader doesn’t benefit. I think the above advertised refinancing deal is a great opportunity for someone for whom it applies. That’s called a WIN-WIN. Just like surgery, if the indication is there. I’m surprised to get so much crap on student loan refinancing. Many of my advertisers I am much more lukewarm about. Not that they’re bad companies, but simply that their services aren’t mandatory or aren’t a no brainer. For example, doctor mortgage loans- I didn’t use one. Financial advisors- I don’t use one. 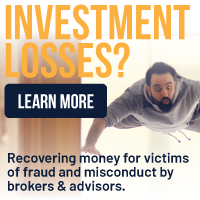 Roboadvisors- I don’t use one. Practice loans- never had one. 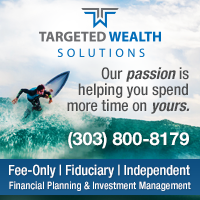 P2P Lending organizations and advisors- totally optional. etc. Well I’d say it’s actually a win-win-win-lose. It’s a big loss for the taxpayers. The government is counting on high income doctors to subsidize the money losing income driven repayment programs as we saw in the latest Government Accountability Office report that found the cost of student loan forgiveness would be $108 billion from loans issued through 2017. If a physician had 300k in debt and didn’t know any better, he or she might pay back the loans in full on the standard 10 year plan. The taxpayer would make a boatload of profit at a 7% interest rate on that sum. Private refinancing is a boon to borrowers and terribly for the taxpayer because the govt is left with all the houses laying in the flood plain so to speak. Reasonable argument, but the government is getting paid every dollar it is owed as agreed. The government didn’t put in a pre-payment penalty. Personally, given the way above market interest rate, I think the government is making out just fine. Seriously, AlexxT, can you call up ANY for-profit service where there isn’t an inherent conflict of interest? The consumer is responsible for due diligence and a healthy dose of skepticism. That’s just capitalism. I think you’re beating a dead horse. The only area I can think of is an NPO, and that is their purpose for being – to work solely for the benefit of others. Absolutely, I agree with you. That was my point. Read what I wrote, and read the post I was responding to. I was arguing against those who were complaining of conflicts of interest on this website by pointing out that we live in a capitalist society and this is a for-profit website. Those who criticize conflicts of interest here are equally guilty of conflicts of interest in their own jobs. Why not read those posts again and let me know what I could have done to make my meaning more clear. My compromise was leaving up the comments from you guys noting the awesome deal you were getting at First Republic rather than deleting them but not necessarily mentioning it in a post where it would get more eyes on it. Some savvy readers who read all the comments have been refinancing with them for a few months. Yes, I apologize that it came across so snippety. However, I was a little turned off by the tone of the post. I think the content is great and will be extremely helpful for many readers wanting to use its services. Your information will save them a ton of time and money in researching companies/rates, however, I felt that the “act now” and endless accolades heaped upon the company seemed more like you were trying to close as many deals as possible rather than the typical objective presentation of research and facts that I have come to appreciate from the site. I have referred many colleagues, family and friends who I know have referred many other colleagues, family and friends to this site. I am one the site’s biggest fans as I think the you do an amazing job of educating and saving readers from self-serving “investment advisors (whole life insurance salesman)”, and helping us recognize the “good guys” as well as simplifying and consolidating reams of information on many of the complex topics such as disability insurance, back door Roth IRAs, cash balance plans, SEP IRA, 401k options/fees, etc, etc, etc. There is an amazing breadth and depth to the content on the site. However, I got the sense that you were counting the dollars to be made off of this post. Very judgmental of me, I appreciate the site and appreciate all you do. I appreciate the the objective style that is typical of your posts. I absolutely am hoping to “close” tons of deals. No doubt about it. For profit and capitalism and all that. 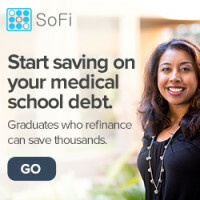 But if you wonder why I’m so excited about it, go back and read my first post on student loan refinancing in 2013 when I finally found someone (DRB) willing to refinance medical student loans. Nobody had done it FOR YEARS at that point. I WAS excited. It was an EASY sale. Now, First Republic comes along and knocks 1.5% off what anyone else is doing. Can you imagine having an easier product to sell? The thing sells itself. It’s like having an affiliate offer with Vanguard. It’s a no-brainer. Guess what though- I get paid less to send readers to First Republic than I do any of the other companies on my list. The “act now” line refers to what happened to people with DRB and Link Capital after the run on in-residency refinancing last summer. 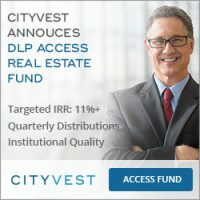 DRB got way overloaded and Link Capital basically ran out of money for a while (? still). Yes, I don’t blame you for seeking to maximize profits off of the website, however, if that becomes the perception of the reader from your posts, you risk losing credibility. You don’t need to post this comment, but I don’t understand why you are now blocking my comments until you have approved them. I don’t remember this ever being the case previously. Not sure why your comment was held. Sometimes they randomly are by the spam filter (2-3 out of 30 a day). It drives Dr. Mom crazy. I certainly haven’t put you on the “hold” list. Truthfully, people don’t spend much time on that list- it’s usually a temporary stay on their way to the blocked list. I agree, and that’s what concerned me about your comment. As someone who lives in one of these areas, I’ve gotta say this makes me incredibly happy. I refinanced a couple of months ago down to 4% with another company, but 2.65% is even better. The difference is roughly $4k/year and $30k over the course of a 7 year loan. For someone refinancing from an even higher interest rate, the potential savings is even bigger as WCI points out. This is huge news and I’m glad WCI made the announcement/advertisement, because I’m hopefully about ready to benefit from it. And if this bank can come up with such a deal, other banks are sure to follow suit, potentially benefitting even more docs. I am a newly matched MS4 into EM. I’m interested in loan refinancing and even started the process a while ago with DRB. When applying I didn’t see anywhere to specify that I am newly-matched. I contacted them and you just fill it out with your anticipated graduation date. Thought that might help anyone else who got hung up on that too. My question is this: if I refinance with, for example DRB, and when I graduate I would like to refinance again if the rates are more favorable, do I have to stick with DRB or if there are better rates with another company can I switch and refinance with another company? No. You can refinance with DRB or any other company. You always have the right to refinance with whomever and whenever you want. You can switch. 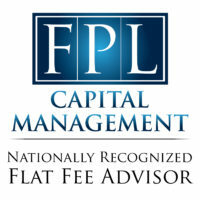 Be very sure you RePAYE and PSLF isn’t better for you before refinancing. Thanks for clearing that up. I’m definitely going to look at all of the options before deciding. Just remember that there are only a couple companies that will refinance residents. This will likely change in the future. Interesting. I hadn’t heard that. That knocks the rate down below 1.5% on the 5 year loan. That is a pretty cool experience. Had a good experience with FRB. Not the most advanced online banking features provided, but decent. You have to direct deposit to them, so I have a scheduled ACH from Ally to pull from FRB. I refinanced during the fall when the rates bottomed out at 2.75% for 10 years. WTRX, does the scheduled ACH from Ally count as a direct deposit for the purpose of this requirement for the refinancing program? How long have you successfully done this? 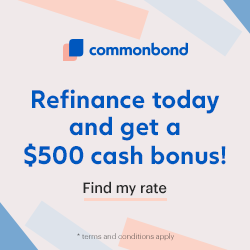 I am nearly finished with the process of refinancing my loans with FRB, and was under the impression my direct deposit had to be from my income source. If a scheduled ACH fulfills this requirement, even better. I refinanced through a referral from a friend of mine, who informed me of this before you posted this on WCI. I was able to do everything by email/online with a few phone calls here and there to clarify some things at times. I’ve had a positive experience so far, let’s hope more people are able to have the same. To meet the direct deposit requirement, you have to have your main source of income directly deposited into your First Republic account. The reason for this requirement is so that you use FRB as your main bank. Have you ever done a post on the pros/cons of using a 2nd mortgage on a home to refinance student loans? Our tax advisor mentioned it since we are grossing over $400k and our student loan interest isn’t tax deductible anymore but mortgage interest still is. We are trying to research out the pros/cons and so I’ve searched your site but haven’t found anything yet. We are currently on a variable rate refinance plan through DRB and it is currently at 3.12%, up from 2.98% 2 years ago. But if we could make the interest tax deductible, that would be appealing. Oh and I need to clarify that we are $130k still in debt but have a plan to pay it off in the next 3 years. Thanks. We will have to research it and see if it makes sense for us when we are planning to have loans paid off in 3 years. Thank you for the helpful post! 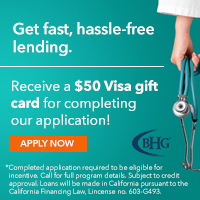 I noticed that this loan requires “24 months of experience in your current industry.” Is it safe to assume the residency counts towards this requirement or do you need to wait 24 months post-residency before being eligible? Yes, I think that’s safe to assume. I would hope that most WCI readers are student loan free by the time they’ve been attendings for 24 months. 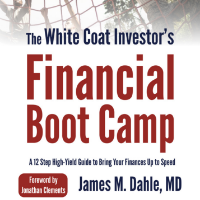 I recently read your book and thought it was a great financial primer – wish I got to it sooner. While I originally had the mind set to repay all loans off ASAP, wouldn’t the best financial decision be that if I receive a 2.95% 10 year loan (or even the 15 year 3.5% vs. the 1.95% 5 year) through First Republic to take the difference in payments, invest in index funds and over the life of the loan you are richer for it in the end? I see the value in ridding yourself of debt as you mention, but a loan at 2.95% seems to me to be “good debt.” So maybe being debt free in 24 months isn’t the best option? I get this question almost daily. Of course if you invest every dollar that would have gone toward loans and if you make 6-10% while only paying 2-4%, then you’re going to come out ahead. However, I think behaviorally, most of us don’t actually do this. I find people who pay off their student loans or even their mortgage (another “good debt”) early never regret it. Maybe the way to look at it is this: Investing > Loan Paydown >>> Spending it. I refinanced 6 months out of residency. But you have to have 20% of the loan in cash. Thanks for sharing informational post. It would be really beneficial for students. Expecting same features for non-student loans. I refinanced with them and you do have to have 20% liquidity which makes this very hard for some people. I refinanced with SoFi first which gave me 5.25% or so on 330k, then I had to save up for the 20% cash for a total of around 65K cash. After this I qualified and refinanced the 300k at 2.75% 10 year fixed and paid off the other 30k. Now I have money to invest! Going from originally 7% fed was around $4,300 a month and going down to 2.7% brought me to ~$2,800 a month. Of course, you only need the liquidity to get the loan. I don’t think there’s anything stopping you from turning around and putting a good chunk of that liquidity toward the loan, no? In my view, liquidity is a pretty minor issue for most docs. With any reasonable income and budget, there should be thousands of “extra” in every paycheck. First Republics requirement is to have 10% of your total student loan debt in liquidity. If your accounts are jointly held, then only 50% of the balances in those accounts are used for qualification purposes. This could have been the reason 20% of your total student loan debt in liquidity was needed in order to qualify. I read the article and the comments. 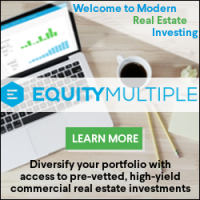 WCI did a great job being upfront about his financial incentive and providing an unbiased review of the company–I would have done it the same way. I don’t perceive WCI being in any danger of losing credibility. On an unrelated note, WCI, can you please find a bank (or make your own bank if you have to) that provides an identical/similar service for people in Michigan? Joking aside, are there any banks offering amazing rates similar to First Republic (as oppose to Earnest, Commonbond, SoFi, etc. that have better-than-federal-but-not-amazing rates) for people in Michigan? When I find out about them, you’ll be the first to know. What If I switch jobs and move out of State during the period of the loan. I don’t plan to, but life happens. That should not intefere with the term of the loan, correct? No, I wouldn’t expect it to. The loan has a contract and I doubt the contract says anything about where you live in the future. Read it of course! 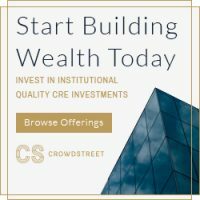 Hi – I came across these postings while doing some research on whether or not to refinance my more than $100k in student debt (from law school) with First Republic Bank. I was approved for the loan at 2.95%, fixed, 10 years. I am having some issues though with the 5% increase if the bank account with FPB is ever closed. The loan docs state that it can be closed by them for any reason whatsoever. This would include if the bank is sold or merges with another. In that case, doesn’t FRB have the right to jack my IR up to 7.95% (which isn’t much worse than what I have now with the Fed…but still.) I am very enticed by the low IR but the terms are a little scary. Any thoughts on this? Interesting. Of course, if that happened you could always refinance with another company, no? Can anyone give a more detailed account of the process if they refinanced through this loan? Specifically, since its a personal loan would you be able to take 300K if you qualify, even if you don’t have 300k in student loans? Do they just cut you a check? Ideally I’d like to refinance and pay down some other debt as well not just my student loans. It looks like the rates went up by a percentage point on 01/15/2018. The rate for 15 year fixed is now 3.95%. Still better than the rest but the best rate I can find. I’d love to hear from anyone who has found more competitive rates or terms with another company. -Quick approval: I was told to expect three weeks for approval. The student loan refi team got it done in two weeks and that included a major holiday (New Year’s). Very impressive especially for a bank – financial institutions aren’t known for their speed. Of course, I have a bread-and-butter balance sheet so no complications to qualify. -Best rates ever: I had previously refinanced with Earnest but was happy to jump thru First Republic’s hoops to get a 200+ bps rate reduction. Not that their hoops are worth noting – I completed the online app in one night, webform was pretty painless. My original refi lender, Earnest, offered to refi my loan down to more competitive rate, but I didn’t even bother trying to negotiate – First Republic’s 7 year rate at 2.35% was way lower than the bottom of Earnest’s fixed rate range (3.25%) and still lower than the bottom of Earnest’s VARIABLE rate range at 2.57%!! Fabulous Customer Service: Extra points for having great customer service via the bank’s ‘wealth management’ model which focuses on building relationships with high net worth potential clients. I can tell the difference with each banker’s responsiveness to the random little questions that pop up when closing a loan. Liquidity Requirement: First Republic requires liquidity (cash or marketable securities held outside a retirement account) to qualify. They generally describe this as 15% of the loan amount requested, which you earned via income (e.g. not a gift which needs to be seasoned for at least three months). Gets a bit more complicated for cash held jointly (with spouse). Rate Increase: I am also confirming that their rates have gone up at least 25 bps (0.25%) to reflect recent and expected Fed rate hikes as of 1/1/2018. I just made the cutoff to get the 2017 rates by submitting my app days before Christmas. 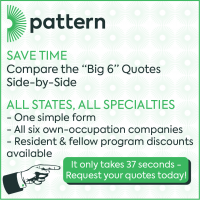 Even with the rate increases, I still recommend this product if you can qualify – they offer great rates coupled with great service. My wife is about to finish her fellowship. She, like a lot of physicians, doesn’t have the patience to deal with finance, much less in an effective way. I am more inclined towards finance due to my background and experience, but I always try to seek advice. I read the WCI and loved it because it chimed with a lot of my previous ideas about frugalness and building a nest egg/retirement ASAP. Fortunately for us, we are moving to one of the FRB locations due to a job offer. She has a high debt load, more than any mentioned here, but nothing out of the ordinary or unheard of for a specialized physician. We’re totally cash strapped due to us coming from twice hurricane struck Puerto Rico, but like I said, she has already has a signed contract job offer. I am currently running the household but am considering going back to the workforce (have been part-time/telecommute, for about a year). I am interested in consulting and using FRB but I’d like for WCI to benefit for all the help you’ve already given. I am considering refinancing my student loans and live in a FRB area. My loans are ~$265k (all federal, all medical school). I have been working in industry for over a year after previously being in academia for 7 years. I am not sure what the future holds and may go back to academia/non-profit world in 2-3 years (maybe). Question: Would you refinance the entire balance of the loan $265k? Even if it is academia is possible for the future? I was thinking of doing just $165k and pay the rest via the feds. If you think you might go for PSLF, don’t refinance federal loans. If not, then go ahead and refinance. But if you paid for 3 years in residency and for 7 afterward, you should already qualify for PSLF for the rest of your federal loans. It looks like First Republic Bank has a branch in Bethlehem, PA close to me. Are the branches listed in the article the only branches that participate or would it be worthwhile to contact them? Sounds like you’re eligible. You just need to contact [email protected] and ask for the special WCI deal. If the long-term returns of the asset classes in your portfolio are different enough, the "rebalancing bonus" can be negative....This nicely makes the point that the real purpose of rebalancing is to reduce risk and that in the very long run this will obviously reduce return.